With 3 kids in the home, I find that getting on the phone can be a dream. I mean, when the phone rings, sure I want to answer it, but when I have a baby in the arms, or if I am catering to one of the million tasks that the kids have me doing during the day, having a extra hand to hold a phone can be non existent. For me, I end up having to let the call go to the machine, so that when I do get a chance in between changing diapers and playing referee, I can maybe listen to one or two missed calls. That can also be a inconvenience for both me and the caller too. For all I know, I could be missing that call that I have been waiting on forever, saying that I get a magical fairy godmother for a day, or my husband calling saying that he is at the store wanting to know if there is anything I need, I mean hay, it could happen. Either way, there are calls that I rather be able to take than miss, so having a hands free system would be ideal for the home. 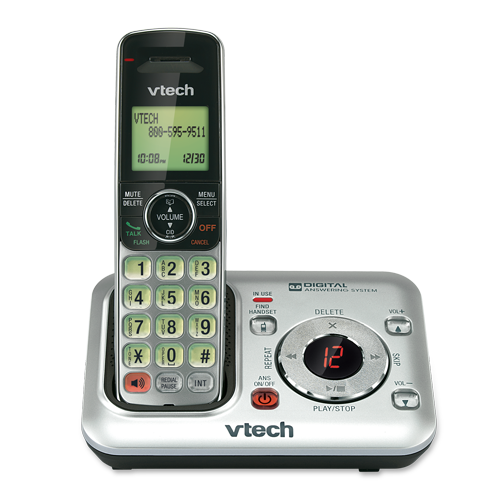 Well, recently I was sent a Dual Handset Cordless Answering System from VTech to review. I have found this phone to be the perfect phone for any busy household. With the handset speakerphone, I can use the amazing speakerphone that is on this system with just a touch of the button. Not only does it have a speakerphone, but I find this speakerphone to be one of the clearest ones I have used. And that is for both ends, not only is the caller quality very clear, but I do not have to yell into the phone so that the caller can hear me. It makes having a conversation, well the way it should be, even when I have kids running around and a baby screaming. I love that I can use the speakerphone during those times when I have a baby in one arm, and I am multitasking with the other. Which means that I do not have to worry about missing that phone call. I also get the caller ID feature, which is always a plus, and with the light up keypad and LCD screen, I can see what I am doing, even when I have the lights out to get the house to calm down in the evenings, or for when I have to reach for the phone at night. Oh, and just like the other great phones that I adore from the VTech line of phones, I can add multiple handsets, up to 5! And to top it off, when I am not able to answer the phone or for when I am out, the answering machine has up to 14 minutes of recording time!!! Personally, I find that this is a phone that has it all, and I love that I can find the VTech Dual Handset Cordless Answering System at my local Walmart and at a very mom friendly price!!! So if you have a busy home, or if you are looking for a cordless phone that has an amazing speakerphone on the handset feature, then check out the VTech Dual Handset Cordless Answering System that is available at Walmart! 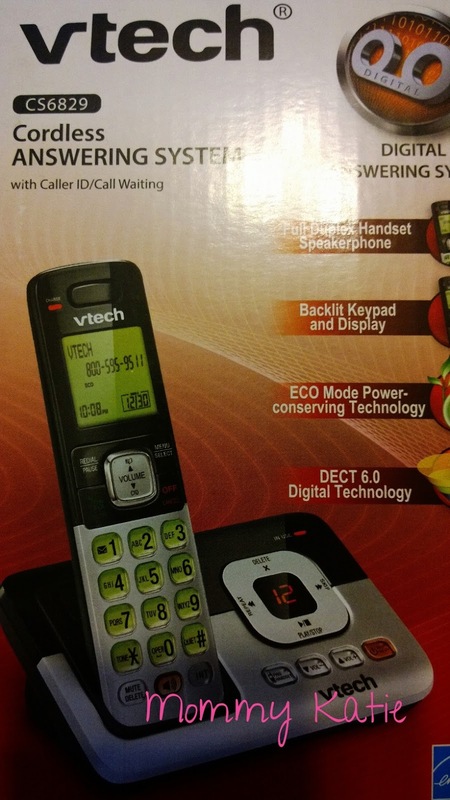 Well, the wonderful people from VTech know how busy a home can get, and they would like to help out with those missed calls, by giving one of my amazing readers their own VTech Dual Handset Cordless Answering System and a $100 Walmart Gift Card so that you can get more handsets to go with the phone!!! Originally published on 2013-08-16 by Katie at Mommy Katie .